Curious Blend -- Curiously Refreshing. We welcome you to our Curious website! Curious Blend is a mixed gender group (2 guys and 2 gals) that refuses to be limited to one musical orientation. If we like it, we sing it! A Curious Blend concert is like a meal of tapas – tasty bites of different musical flavors. Our repertoire includes music from the 12th to 21st centuries sung in seven languages. We are known for our tight harmonies, varied musical stylings, and spot-on humor. From Bobby McFerrin to medieval Icelandic chant, from Pierre Passereau to Gene Puerling, from an Irish lament to a rollicking pop parody – it’s all part of an evening with Curious Blend. Curious Blend harmonizes -- can you hear us now? We've posted a couple of music clips to the right (that last one is in Irish!). Let us know what you think! Only a 1 out of 10 chance of finding venture capital. We seem to have an oral fixation, instead of an aural fixation. Anything with monkeys is good, right? If we can't agree on a name, maybe this one would work? A quirky name, but it has potential. We were on a Bop roll with this one. Not covered by our insurance. Oh, I'm really hungry now. Most interesting name of the year. 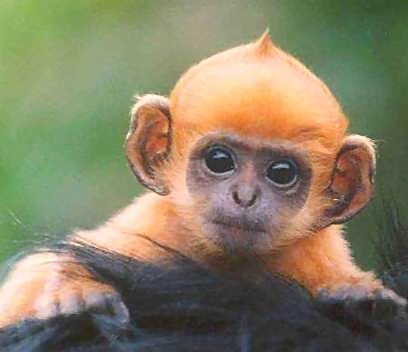 The name Curious Blend sounds almost like that famous monkey Curious George, and everybody likes cute monkeys. Zucchinis were high on our list, too, but they weren't cute enough to make the final cut. I can haz coffee? Curious Blend loves to sing at fine coffee houses everywhere. Some of you have heard us harmonizing at the Barefoot Coffee Roasters, in Santa Clara, CA. The place was packed, the tunes were jazzy, and the coffee was delicious! Don't miss our next appearance, maybe in your neighborhood! Your ears and your taste buds will say "yum!" Curious Blend will also be singing some scrumptous vocal jazz at various locations in the Bay Area. Stop by again soon for more info! Curious Blend brings together a cappella voices into one delicious blendified sound that makes your ears say "yum!". We like monkeys (and coffee)! Scotch and Soda is our previous featured song. Buy us a round of scotch, and we'll sing it for you. Sorry, no credit for buying us a roll of Scotch Tape. curiousblend.com . We'd love to hear from you! Curious Blend would be happy to attend your party or corporate function. And, we could sing there, too! Copyright © 2006-2014 Curious Blend. All Rights Reserved.